The Vision X Light Cannon Cover features a polycarbonate shatterproof cover that protects from rock and debris impacts, and comes in multiple housing colors. The new covers allow for 20 unique configurations of just one light! 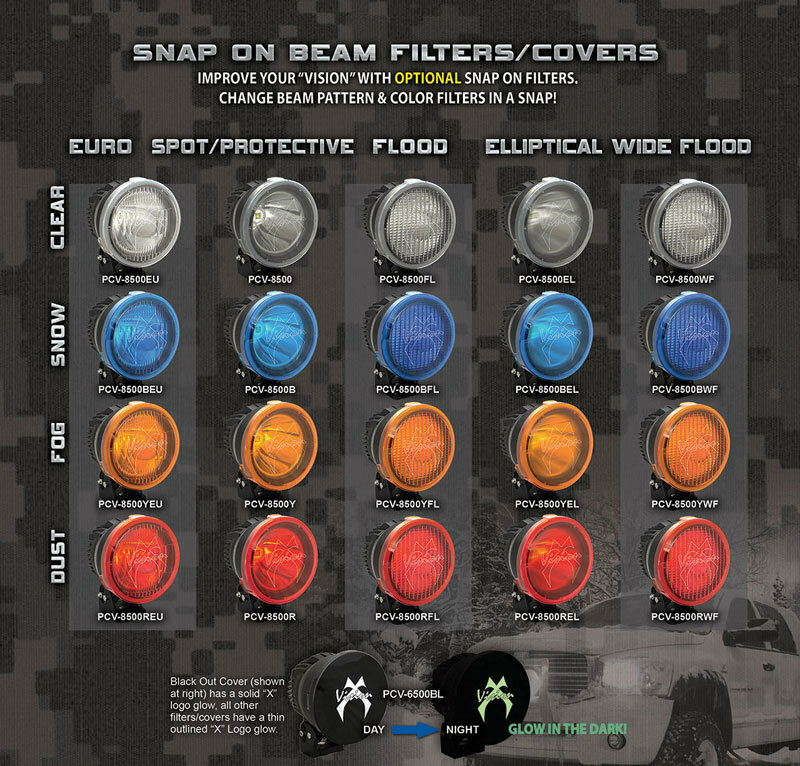 With the snap of a cover, change the beam pattern or color of light output to easily match the conditions on the road, the trail, the dunes, or anywhere in between. The Light Cannon Covers improve visibility in snow, fog, and dust as well as providing for varied beam pattern configurations. Covers are only compatible with Vision X 8.7" Light Cannon Series Lights. Covers are sold each.